Fr. Katajun Amirpur, ist diese Übersetzung richtig? | FREE IRAN NOW! Fr. Katajun Amirpur, ist diese Übersetzung richtig? Praise be to Allah who gave us the opportunity to benefit from the blessings of the holy month of Ramadan and to comply with the legacy of the late Imam Khomeini to lend our support, in unison with the great masses of the world freedom lovers and Islamic nations, for the holy Qods and the intifada of the oppressed people of Palestine and to show our disgust at the Zionist regime and its advocates in international circles. Three decades have passed since the miraculous initiative of the late Imam in designating the last Friday of the month of Ramadan as the universal Day of Qods. The invaluable achievements of this global congregation have contributed to greater vigilance and global campaign against oppression. With the disclosure of the treacherous schemes of arrogant powers and supporters of the usurper Zionist regime world nations are now ever more determined to resolve the issue of Palestine. Without a doubt the suspicious efforts made regionally and internationally aimed at imposing unilateral plans for a compromise on the issue of Palestine and according recognition to the illegitimate regime of Israel will all end up in a complete fiasco. 1. Now that the aspiration of the Islamic revolution, that is based on unity of Muslims and complying with the holy Quran and the great prophet of Islam, has left and effective impact and canvassed support for the Palestinian people and reinforced the anti-Zionist front all over the world, we, the people of Islamic Iran, appreciate this great blessing and denounce any kind of divisive attempt targeting the ranks of Muslims. We emphasize the need for scrapping occupation from geography of the world of Islam particularly in Afghanistan, Iraq, the holy Qods and occupied Palestinian territories. 2. The Muslim nation of Iran expressly announces that the land of Qods belongs to Palestinians and that Qods can be liberated only through steadfastness, resistance and full-fledged support for unity in the resistance front and the intifada of the oppressed people of Palestine. To that end the Islamic nations and free thinkers of the world will not spare any spiritual and material support for the Palestinian uprising. 3. We condemn the crimes committed by the Zionist regime including the onslaught of defenseless Palestinian civilians in the course of its inhumane war on the Gaza Strip and the ensuing scandal stemming from smuggling the organs of Palestinian martyrs. International forums that have so far consciously kept silent on all these crimes must take drastic measures to harness further savagery by this brutal regime. 4. 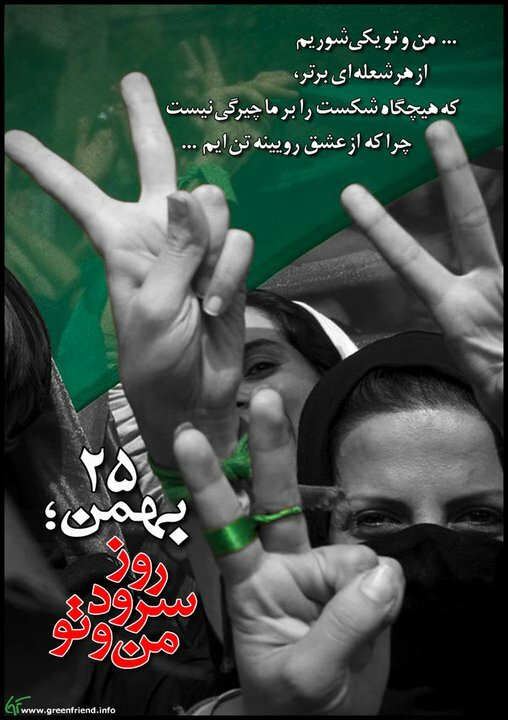 The revolutionary people of Iran strongly disapprove of the efforts of the Zionist regime in destroying the people of Palestine and their history and consider Judaizing the occupied land, expanding Zionist settlements, removing signs of Islamic culture and civilization and constructing a synagogue on the premises of the al-Aqsa mosque as moves aimed at wiping out the Islamic identity of this sacred site and paving the way for turning al-Qods into the capital of Israel. 5. Raising the banner of Qods by masses of Iranians in the universal Qods Day demonstration is an indication of national unity and solidarity in safeguarding the Islamic revolution and materializing the lofty aspirations of the late Imam Khomeini especially the liberation of the holy Qods from the clutches of the Zionist regime. Most definitely this steely resolute will continue to maintain Muslim unity. Through soft war, virtual threats and other treacherous measures foreign powers and their henchmen will not be able to create any rift in the solid ranks of the Iranians nor will they manage to force them to stop supporting the oppressed people of Palestine. 6. The united and vigilant people of Iran denounce any Zionist threat against Lebanon. We warn the Zionist occupiers and their advocates in and outside the region to learn from their humiliating defeats in 33-day and 22-day wars and avoid any adventurism; otherwise, Resistance fighters will teach them an unforgettable lesson and will turn the whole occupied territories into danger zone. 7. The people of Iran disapprove of support given by a number of Arab-Islamic heads of state for the Zionists‘ continued war-mongering and violence and call on them to promptly change their approach and think of realizing the rights of the Palestinians and take decisive measures against Zionist usurpers to help set the stage for repatriation of Palestinian refugees home. 8. Iran condemns foreign interference especially by the United States, Britain and the Zionist regime in the incidents following the epic presidential election of June 12. We praise the unprecedented 85 percent turnout of Iranians which led to the formation of the tenth government and regard the well-calculated move of the parliamentarians in their decisive vote of confidence to presidential nominees, the pick for the defense ministry in particular as a revolutionary move against media hype and adverse propaganda launched by the world hegemonic powers. We also demand that the respected government take due heed of the ten-article charter issued by the leader of the Islamic revolution. And Allah assists those who assist him and verily is Allah the most powerful, the most kind.